Quality not quantity. Life is better that way. Hello World! It’s a bit scary out there. Oh and Pasta Carbonara – reinvented. The end of 2011 marks so many milestones for me. The end of one of the most challenging and rewarding years of my life – and the anticipation of what 2012 and new beginnings will bring. I’m excited about the coming year. With it marks a new point in my life. With a healthy family, a growing company, and a foothold underneath myself that I feel I’ve never had before, I finally have the courage and wisdom to express my own voice, my own point of view. With that, I have committed to a goal that I have had on the back burner for several years, to write my own blog. I start with the understanding a blog takes courage and a strong point of view. It takes the ability to deal with criticism and comments both good and bad, to which I say, what the heck. If anything, this blog is more a vehicle of self-discovery and self-indulgence. What can be the harm in that? So, I invite all of my friends and family in to read about what will be a blog about whatever is on my mind, with topics of food, family and sharing. Of reinventing what “was” for what “is” and what “can be.” Welcome to life with Selina. First up, dinner tonight. The traditional pasta carbonara was re-imagined into a light and delightful bowl full of tasty surprises. 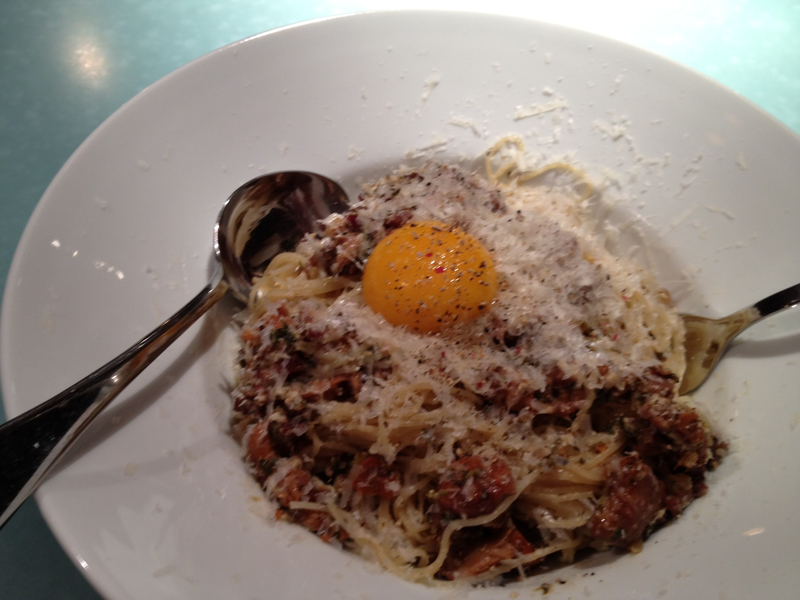 Pasta carbonara is a favorite pasta dish of mine; it was a delight to see how it was artfully reinvented. The base ingredients were taken from Christmas Eve dinner. Our tradition is to make Beef Wellington with a flaky crust, a perfectly cut, fork tender tenderloin and the gravy rich and flavorful. Tonight those gravy base layer leftovers from Christmas Eve were served up as the base for this re-invented pasta with a few new secrets added. The net-new was something worthy of a Zagat rated restaurant. Next Post Is the “I’m going to be healthy” resolution already getting to you? It is me. Two weeks in. That’s about right. Um, did I ever tell you how much I love you? Great blog, I am all signed up and ready to go…so proud of you, and huzzah to a wonderful 2012!! buon idea, Selina, che buono! The kids. My reason for being and the loves of my life. Aidan, Allie and T.
Burning bridges in business is never a good idea, particularly for female founders. Gender equality is the right thing to do, and it’s good for business. The Berlusconi effect and Italian Women. Ladies, get your act together.